Kathleen Herbert uses the medium of performance and documentary to question and engage with the historical and contemporary functions of space. This will be Herbert’s first solo show in London. 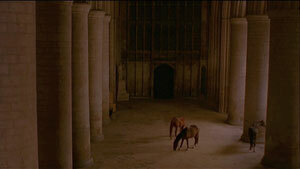 Herbert’s super 16mm film Stable was produced in response to a residency at Gloucester Cathedral. 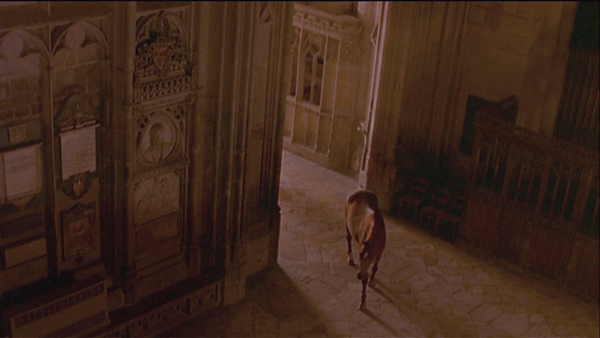 One night she brought horses into the Cathedral to walk freely through and explore the architecture of the space. The piece is inspired by a single comment made in a Cathedral guide that, during the Commonwealth period, Puritan troops, in an act of political bravado, used the Cathedral to stable horses. Through use of the uncanny, the film blurs boundaries between fact and fiction, myth and reality, investigating ideas around superstition, rituals and histories. Hebert draws out the apparent uninteresting or unspoken, redefining social, political, historic spatial narratives. Her previous work is also site-specific and uses the conventions of documentary filmmaking to explore a history and social politic that never quite reveals itself. Station X. Station X (2003) is a two-channel video work reacting to Bletchley Park, the World War II code-breaking centre. The video contains filmed conversations between surviving code-breakers and reveals only their mouths and necks to the viewer. In 2005 Herbert was commissioned to produce an artwork for a scattered site exhibition on Bristol City Docks, part of the Situations research programme. The final work developed from a voyage on a cargo ship from Antwerp to Bristol, the eight-monitor DVD installation shows a series of individual details from the journey, which persistently focus on the banal and everyday within this highly technological industry. The imagery offers clues to counteract the technological environment, alluding to the human needs of faith, hope and belief. 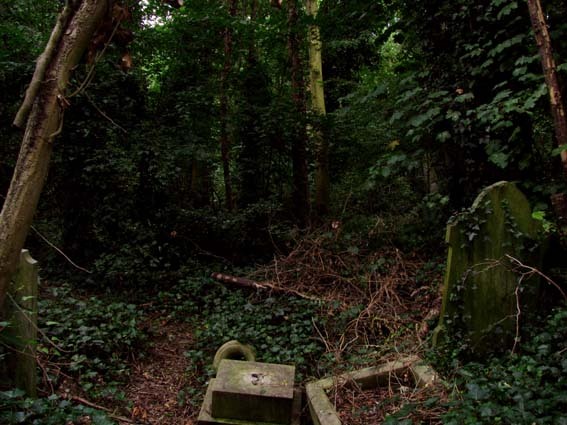 As part of an exploration of London’s burial grounds & cemeteries the artist has produced a series of photographs taken within a Victorian graveyard. 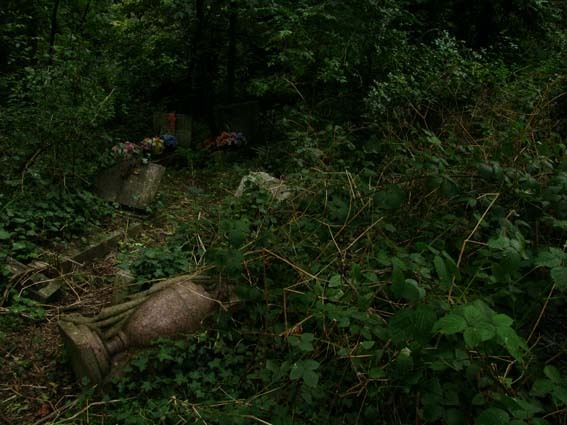 Due to the changing social attitudes and economics towards death, this resting place has been left to the ravages of nature and time. 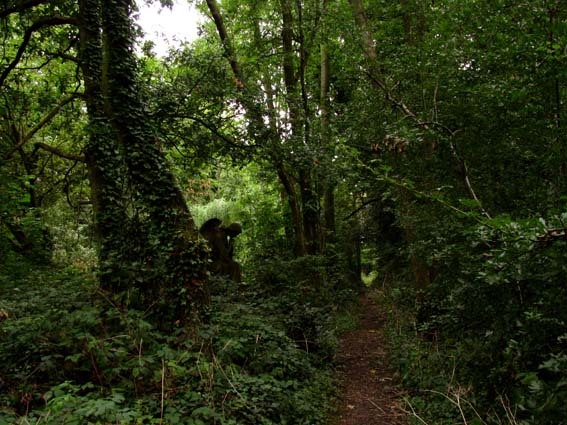 The rampant dense green woodland contrasts sharply with the broken remains of gravestones and memorials to deceased loved ones, now lost in the wilderness. 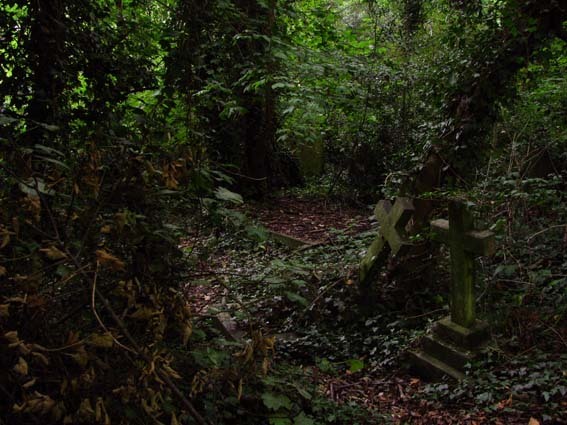 The majority of the final resting places have been lost to nature but some paths have been maintained and are clearly visible leading the way through darkened mass of contorted brambles, ivy and roots; sometimes they lead nowhere but occasionally they lead to tended graves, little islands among their long forgotten neighbours.